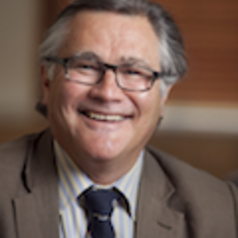 Professor Geoff Gallop was a member of the Western Australian Legislative Assembly from 1986 to 2006 and the Premier of Western Australia from 2001 to 2006. He was a Minister in the Lawrence Labor Government from 1990 to 1993 (holding a range of portfolios most notably Education, Fuel and Energy and Minister Assisting the Treasurer) and when that Government was defeated in 1993 he took up a range of Shadow Ministerial appointments. In 1994 he was elected Deputy Leader of the State Parliamentary Labor Party and in 1996 he was elected Leader. As Premier, he oversaw a range of political and social reforms (electoral reform, gay and lesbian equality and a State Administrative Tribunal), upgraded the State's industrial and labour laws, brought a spirit of reconciliation to the resolution of Native Title and developed partnership models for the State's indigenous communities, changed the law to require all 16 and 17 year olds to be in education or training, was the first Premier to commit his government to a major desalination plant, stopped the logging of all of the State's Old Growth Forests creating record numbers of new national parks, restructured the State's electricity and racing industries, and started construction of the Perth to Mandurah Railway and City Tunnel.